So, we are told, of ‘on time, on budget or to specification’ one must be allowed to ‘go’ if we are to achieve the other two. Time and cost are visible and easily measured. ‘To specification’ is largely invisible. Guess which one is usually the first to be compromised? Cutting the scope to ‘make budget’ is commonplace. The focus is on the project’s budget, not on the business value, as many such scope decisions massively destroy the subsequent business value. Yet ‘to specification’ is THE most important element of the three. Time and cost performance are irrelevant if what you want is destroyed in the project delivery process. So let us reframe the Iron Triangle to make clear the importance of the ‘to specification’ element. This reframing may just look like a slight redrawing of the triangle. But what it makes clear is that ‘to specification’ is now the foundation on which the rest of the triangle is built. Delivering ‘to specification’ is why you commission the project in the first place. 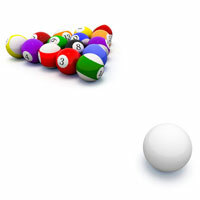 If you compromise what is being delivered, you can compromise the business result for years to come. The true cost of any compromise is often not known for months or years after the end of the project (when both the project and governance teams have long since dispersed). If the builder of your house comes in ‘on time and on budget’ but does not deliver the house you want, you are not going to be happy. If the builder cannot complete the house within the time and/or budget constraints, they need to come back to you to ask you what do you want to do. 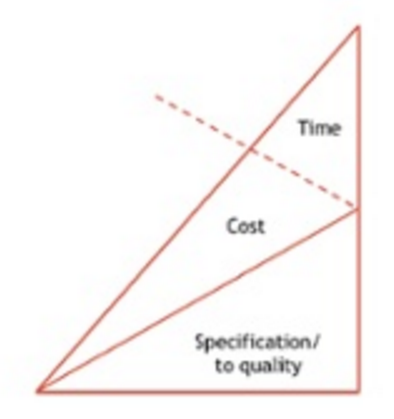 Reduce the specification to be deliverable within the time and cost agreed? What normally happens is that the specification is compromised without a second thought, at least some business value is lost forever, and the project is praised for coming in ‘on time and on budget’. When we reframe the Iron Triangle, we at least give the business the choice of optimising the value rather than just managing the costs. This post was originally published as ‘How Reframing The ‘Iron Triangle’ Can Change The Game‘ and has been reproduced with permission. For more on this topic, download TOP’s ebook ‘Why your measures of success are destroying your projects‘.